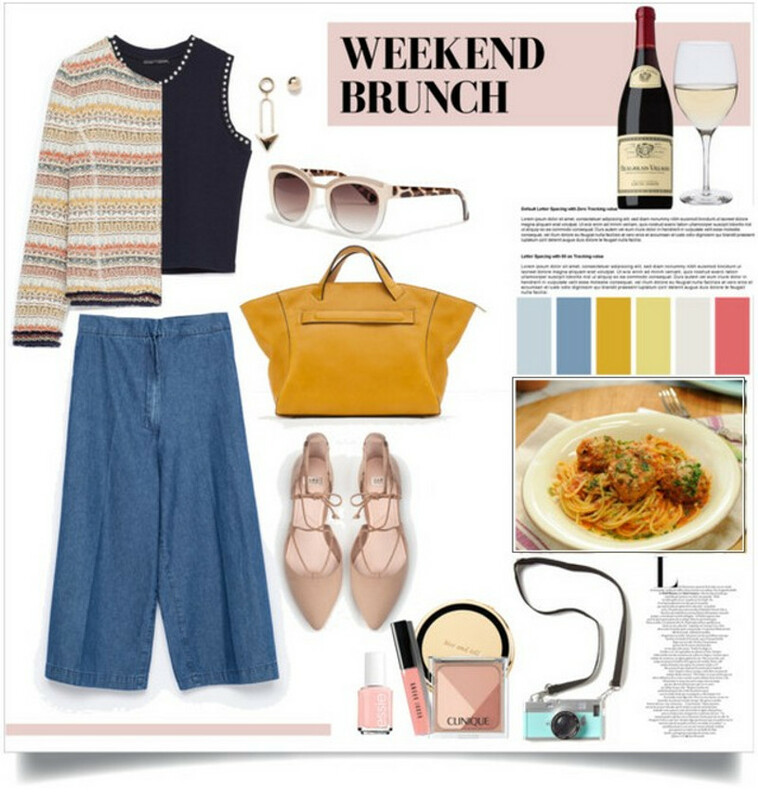 Have a weekend brunch date? Well....its going to be a little tricky because you would like to dress up since its your date but at the same time weekends are supposed to be easy and relaxed and brunches even more so. 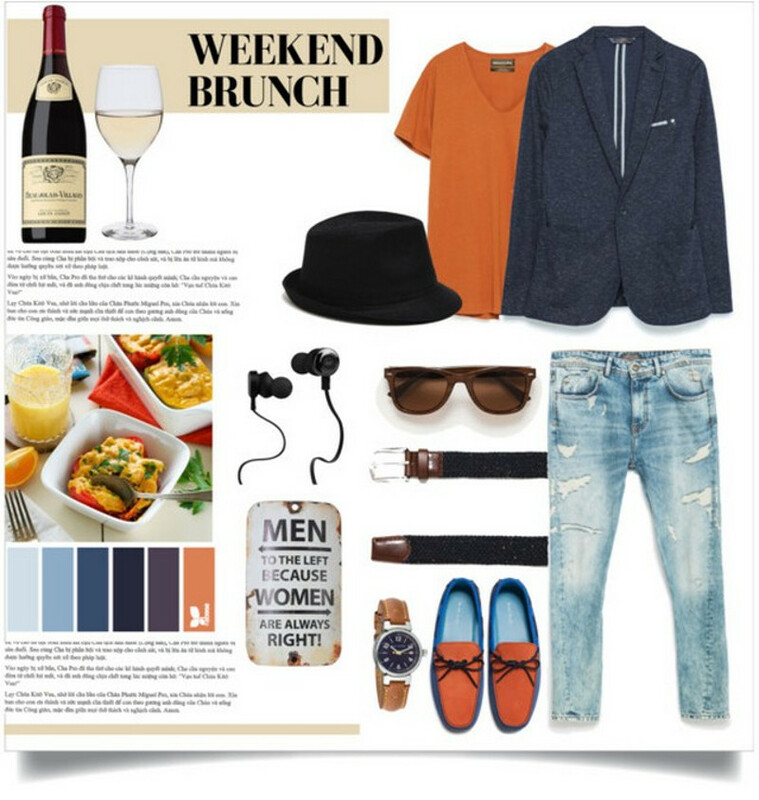 So what should be your style mantra for a weekend brunch date? I say, go 'Easy Chic'. Wear classic comfortable pieces and add style and color through accessories. Think Friday dressing. Now add a notch of style to it and you get your outfit for your brunch date. Do wear or atleast carry a layer, like a jacket or shrug to add a little formality. You dont want to look too casual to a date and please dont forget to add a pop of color in your shoes or bag. That will totally lift your entire outfit. Style advice for her Crop top teamed with a pair of denim culottes, styled with a bright cardigan. Wear strappy flats, they are both easy and stylish or you could also opt for kitten heels. Complete the look with a bright colored bag, trendy sunglasses and simple but interesting accessories like earrings or a wrist watch. Style advice for him Relaxed fit blue denims with a bright plain tshirt. Team it with a relaxed knit blazer (like the one from Zara, pic above) and complete your outfit with a pair of stylish loafers, a casual belt and a good wrist watch. Sunglasses goes without saying. Do try a fedora too, it can add loads of attitude to your attire. So what would you prefer to wear to a brunch date?